A few years ago a friend introduced me to his childhood "Strawberry Pretzel Salad" - exact origin unknown, but incredibly well-known by many potluck goers. It goes something like this: a crushed pretzel crust, a cream cheese / whipped cream center, topped with a strawberry jello loaded with fresh strawberries. It was new to me, despite my potluck attendance in years past, and didn't sit well with my taste buds. Well, the time has come for a new dessert and I remembered that particular dish. What could I do to make the treat into something I would enjoy? 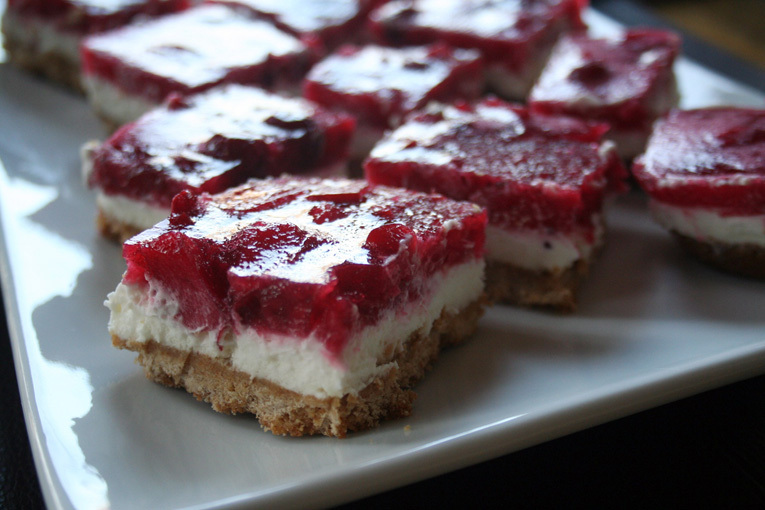 The next thing I knew I was pulling together this Cranberry Mascarpone Graham Cracker "Salad." 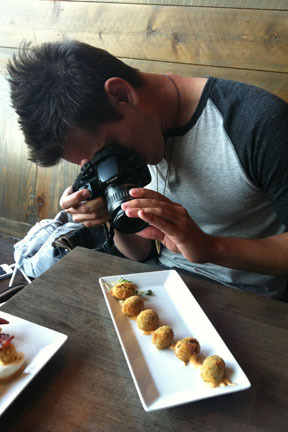 It mirrors the original in concept, removes the saltiness, and blends into a rather smooth delight! 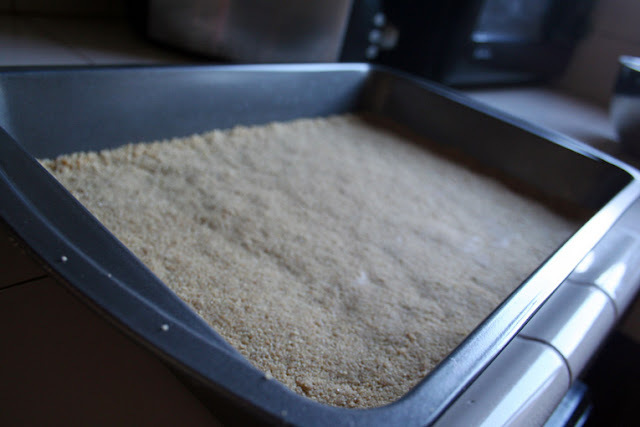 Layer I: Melt the butter and mix with the graham cracker crumbs, flour, and sugar. Press into a rectangular baking pan and bake at 350 degrees for 10-15 minutes or until browned. Set aside to cool. 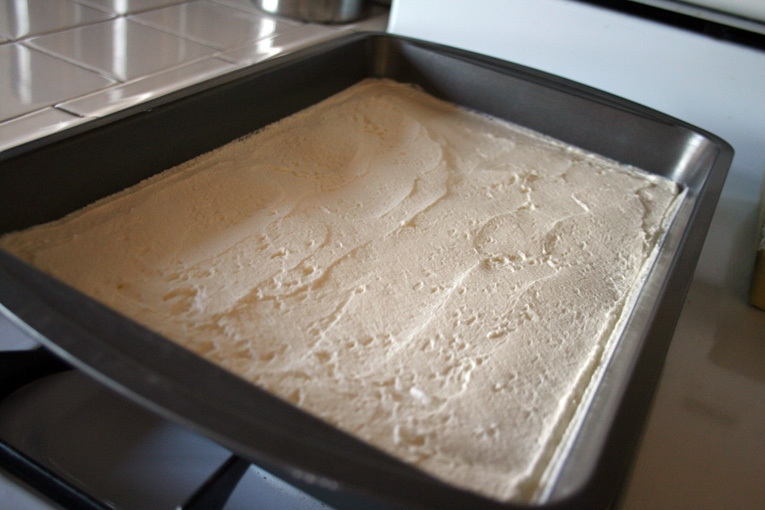 Layer II: Whip heavy whipping cream with 1/3 cup of sugar until stiff peaks form. In separate mixing bowl, fold in remaining sugar with mascarpone. Combine whipping cream with the mascarpone until thoroughly blended. Fold scraping from the outside of the bowl inward, do not stir. Spread mixture over Layer I and set aside. Layer III: Dissolve the gelatin and sugar in the boiling water. 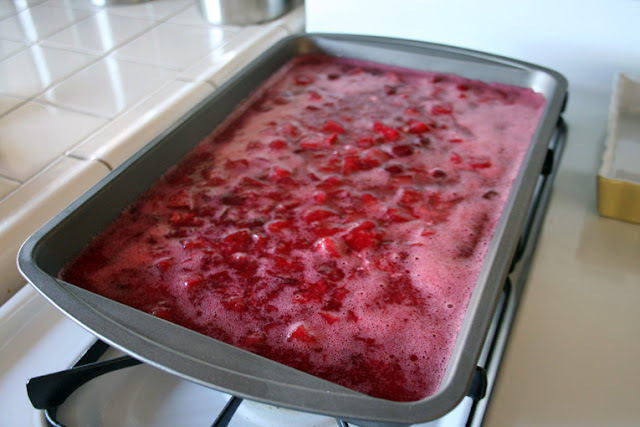 Allow to cool slightly before adding the Cranberry Sauce. Once room temperature, pour over Layer II and set aside in fridge until ready to serve.